Or there's an opportunity to supervise the wardrobe department for a Drama Club production. You will work closely with the Director to plan what costumes are necessary to complete the overall feel of the shows image; time, era, etc. Working with a team of assistants and dressers, the Wardrobe Supervisor must ensure the wardrobe department runs efficiently and professionally. 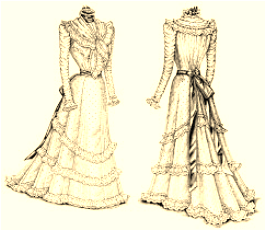 The wardrobe may be very simple (cast may come in their own clothes or have a single change before each show) or wonderfully complex period costumes which require a great deal of planning and attention to detail.